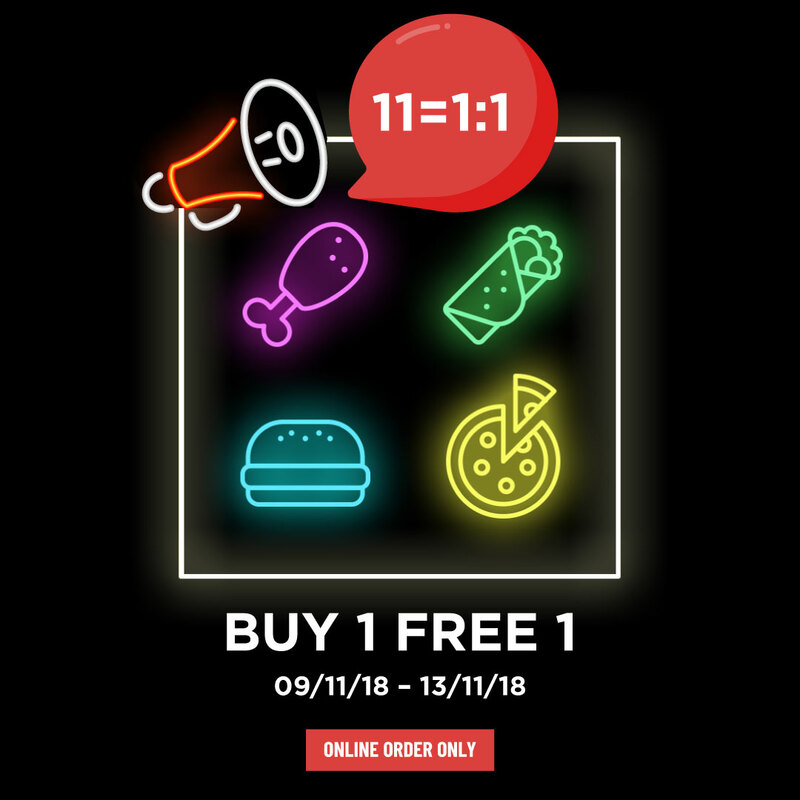 11-11 Promotion | Epic Fit Meals Co.
epic 11 = 1:1 promotion! 11.11 is Singles’ Day, the world’s biggest shopping event. Many of you would be shopping till you drop on this day. At EPiC, we say “Good on you!”. We are joining this celebration by offering our most EPiC 1:1 (1 for 1) promotions ever!!! 1:1 means we will be giving out 1 free item for every purchase of the same item. 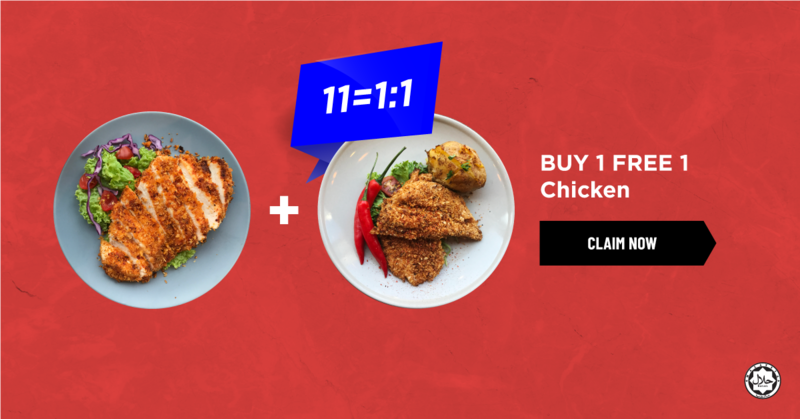 To put it simpler: buy 1 chicken, get 1 chicken free, and the same goes for our burger, pizza and burrito. So sit back, relax and shop away! Let us take care of your meals. While your purchased items will only arrive some time later, our hot meals will reach you within 45 minutes from order. Buy what you want, eat when you like.... EPiC as Usual! 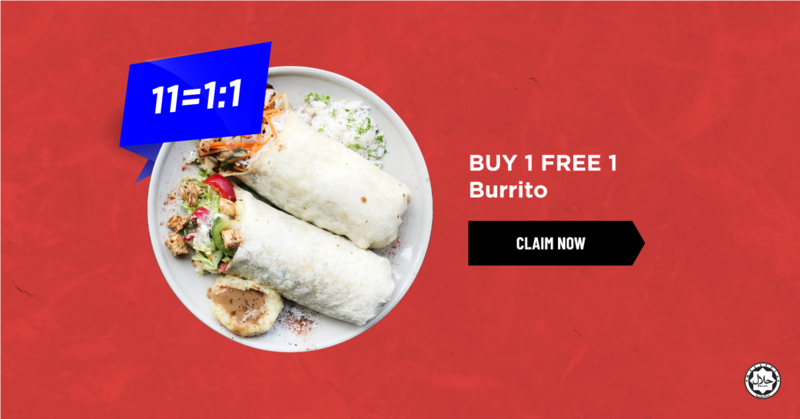 - Buy any Big Burrito and receive another Big Burrito for free. - Valid for online order only. - Valid for delivery, take-away and dine-in. - Please input promo code when ordering via online. - Minimum order for delivery is RM20 in a single receipt. - We reserve the right to change the offer without prior notice. 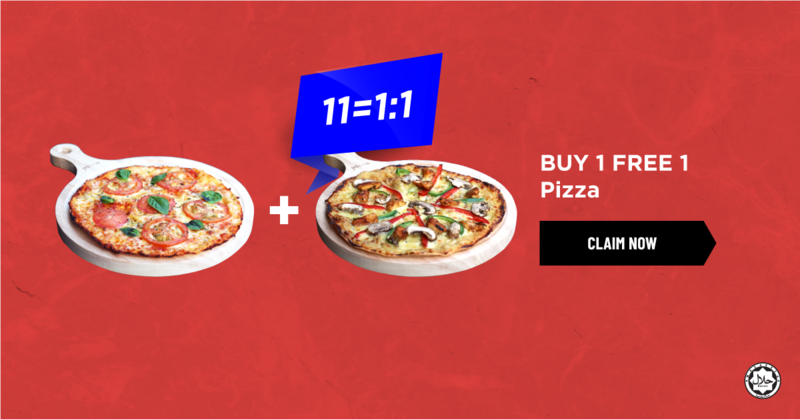 - Buy any "Flying" Pizza and receive another "Flying" Pizza for free. 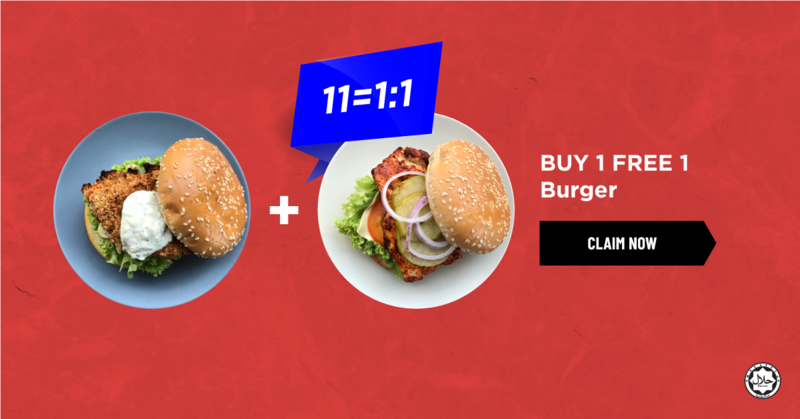 - Buy any Chummy Burger and receive another Chummy Burger for free. - Buy any Epic Signature Chicken and receive another Epic Signature Chicken for free.